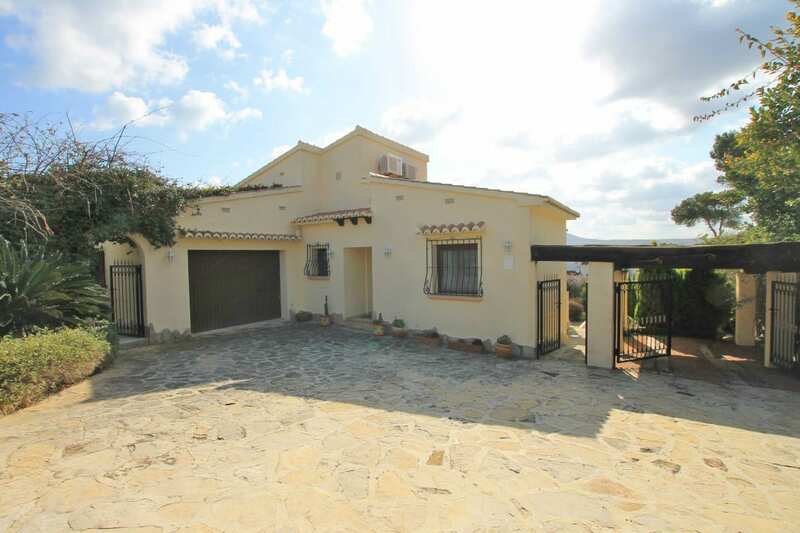 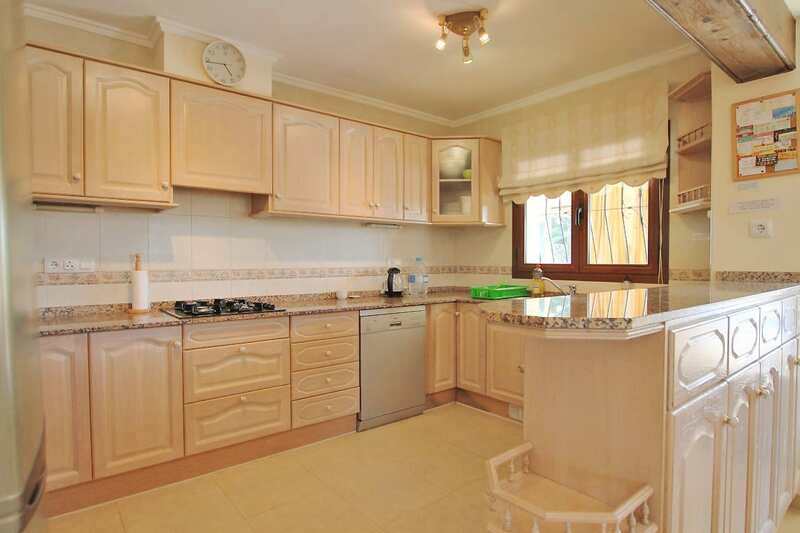 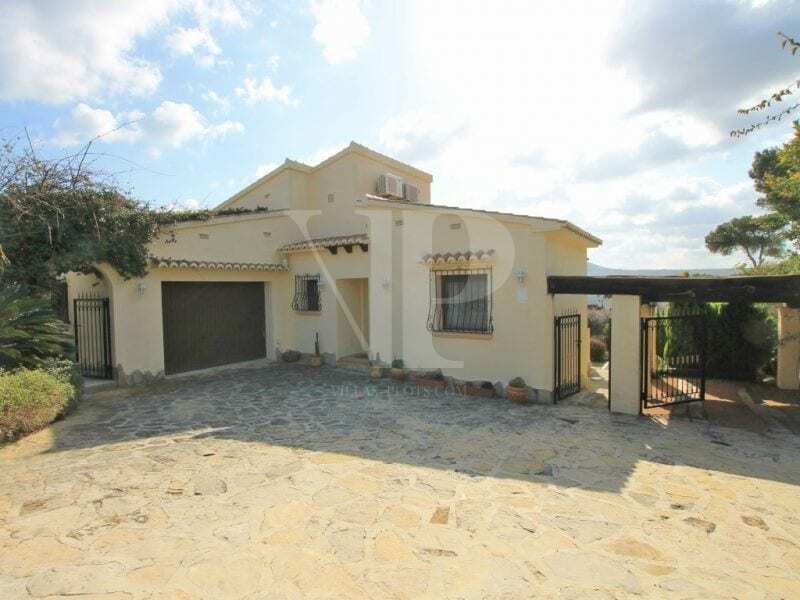 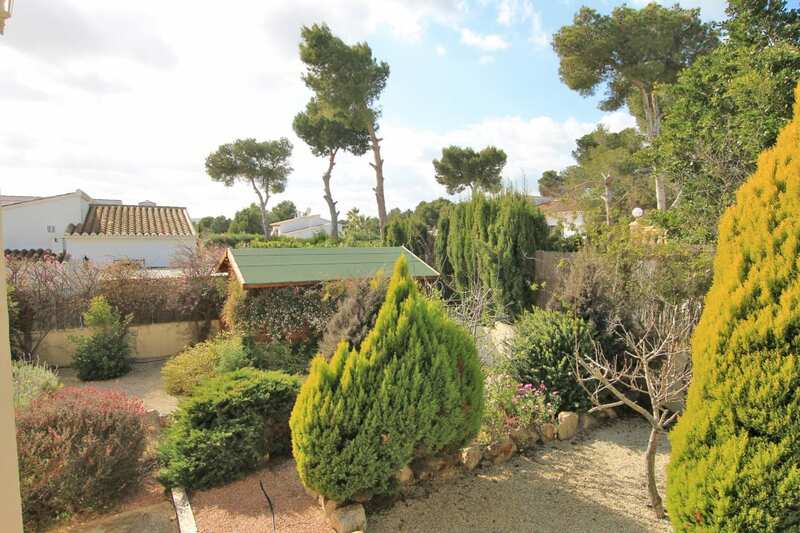 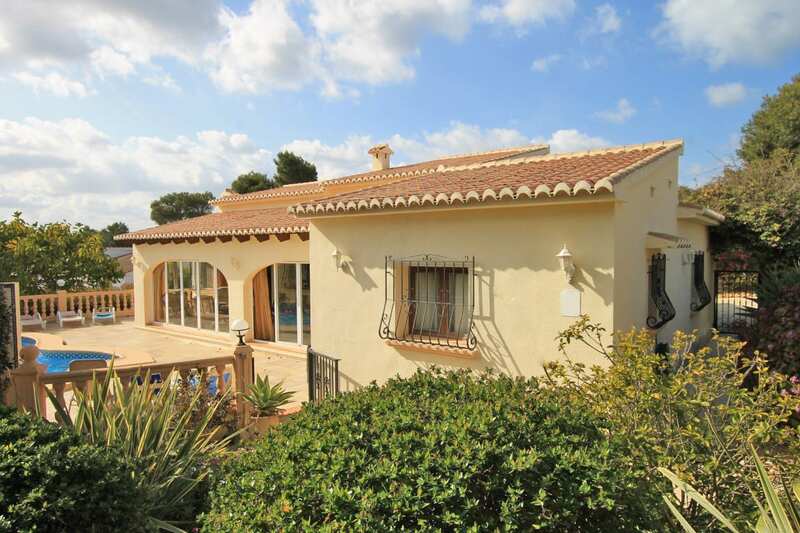 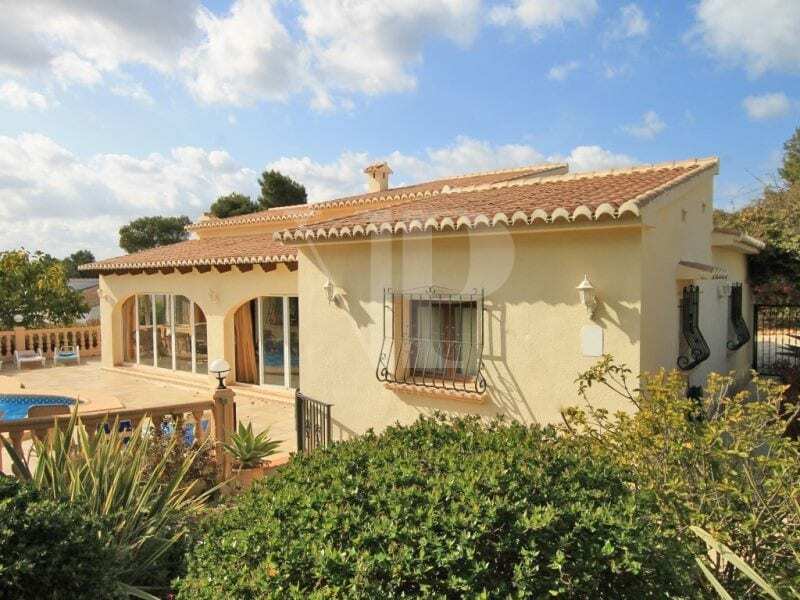 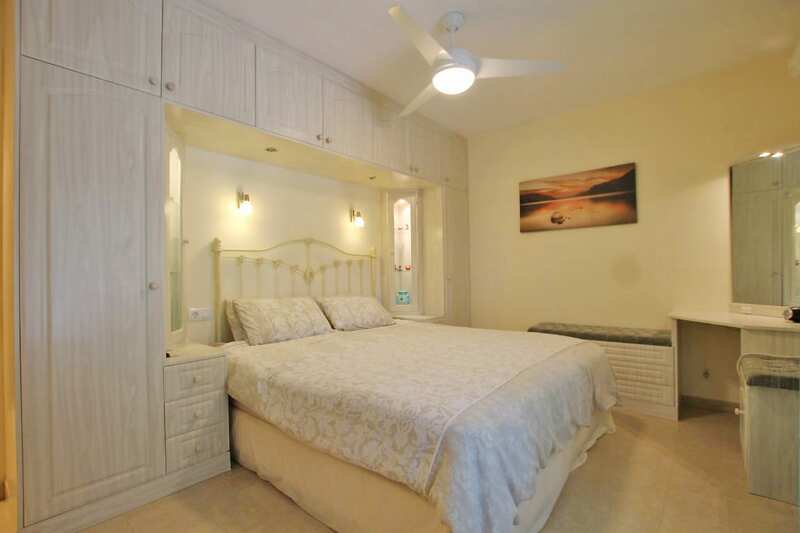 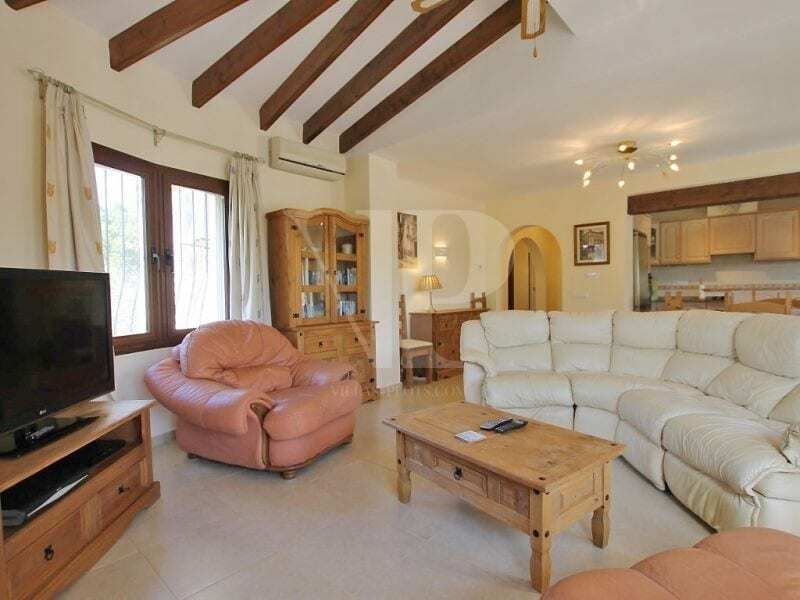 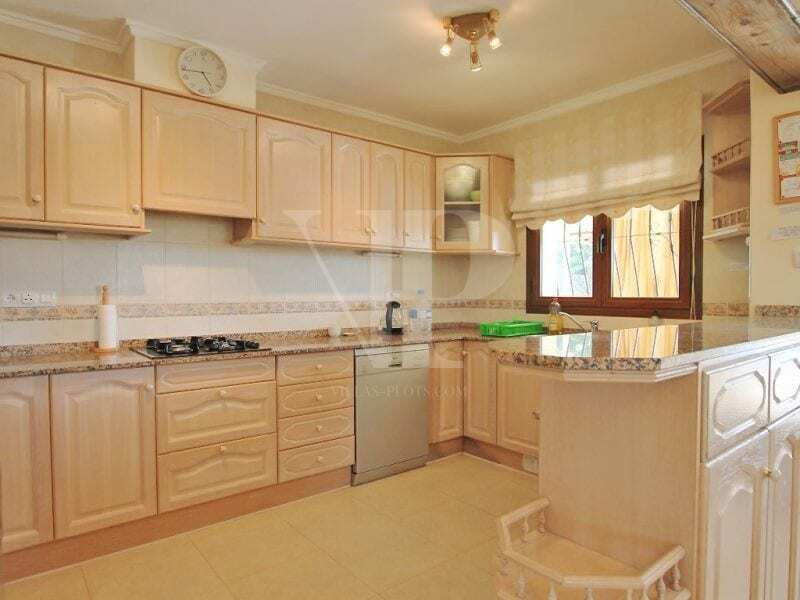 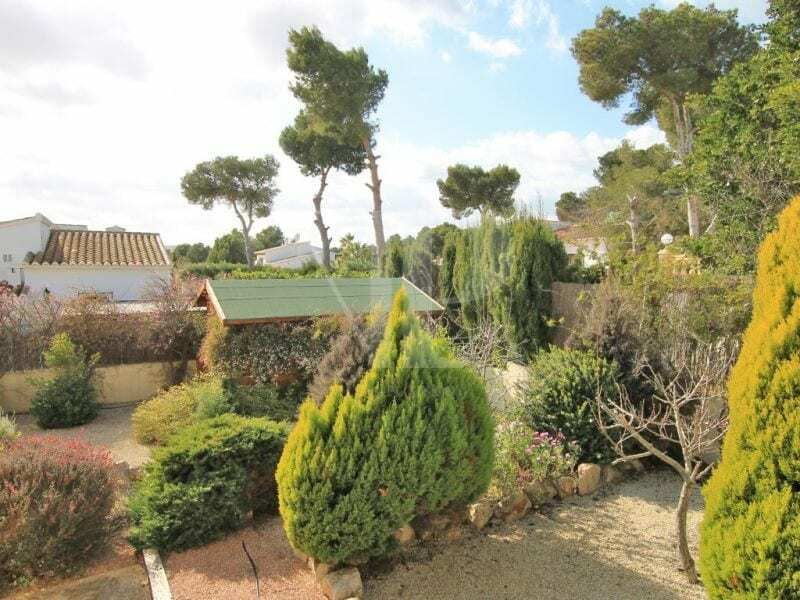 For Sale: Located on the modern yet established urbanization ‘La Cala’, featuring pavements with street lighting and mains sewer connection, this single level 4 bedroom property sits on a mainly flat plot. 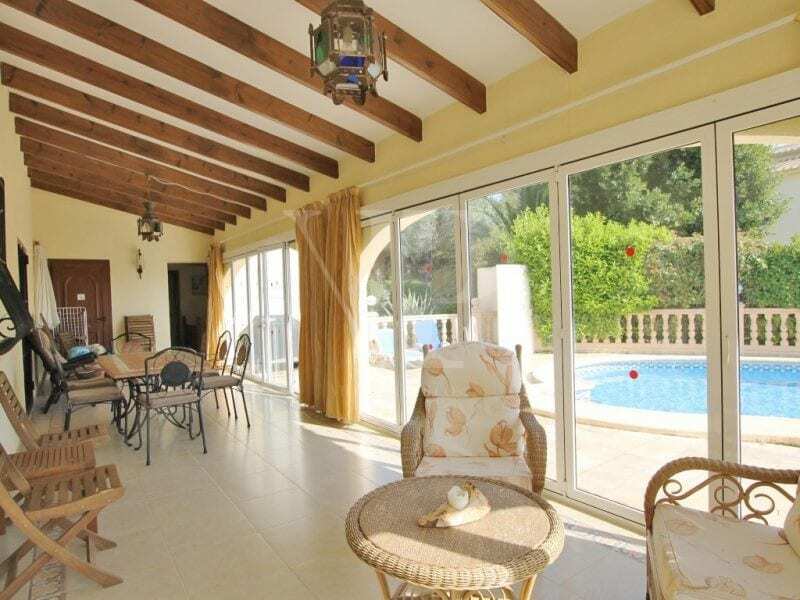 The ample size living/dining room with open kitchen leads to a vast covered terrace (Naya) with Bi-fold doors leading to the pool and terrace. 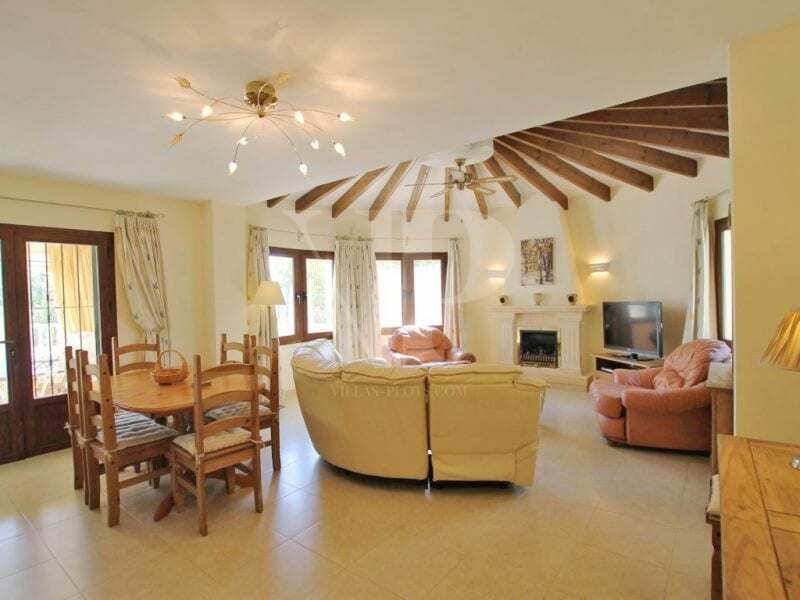 There are 3 bedrooms located within the main house while a separate guest suite leads from the terrace close to the pool. 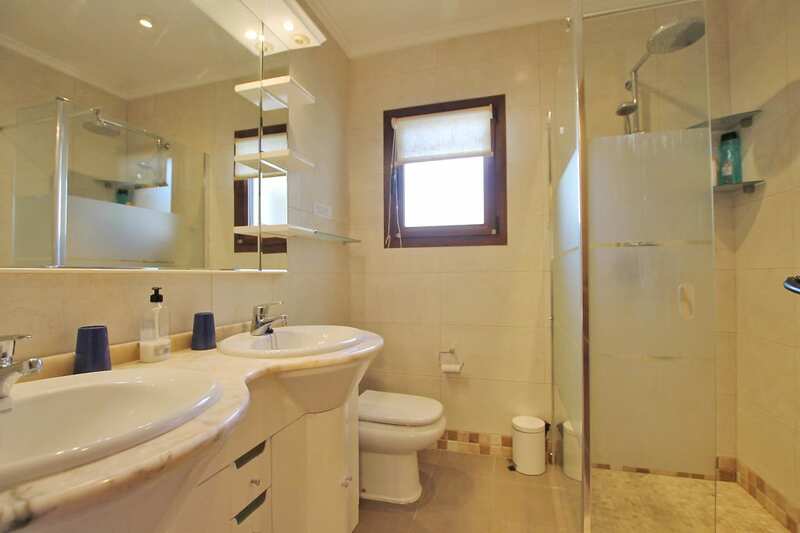 There is a utility area with access to outside. 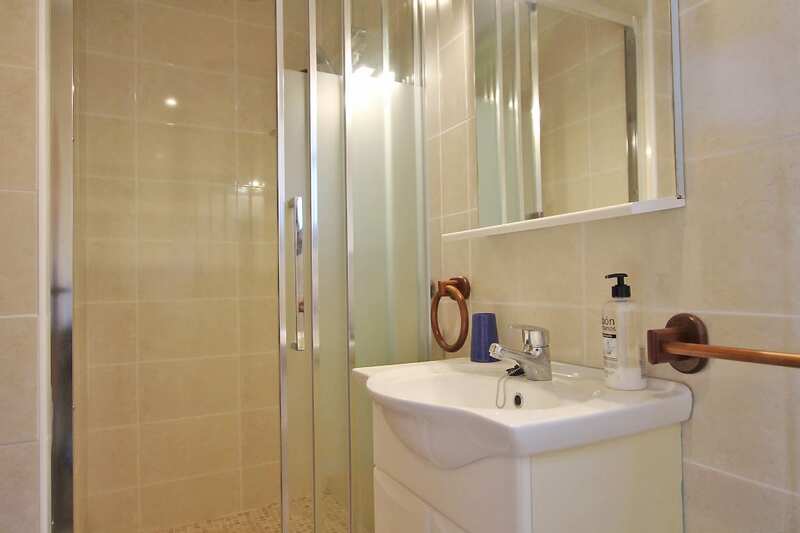 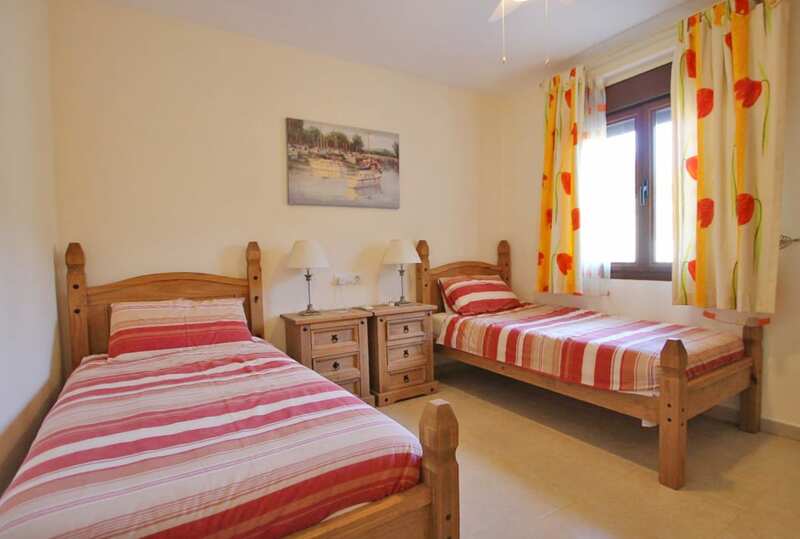 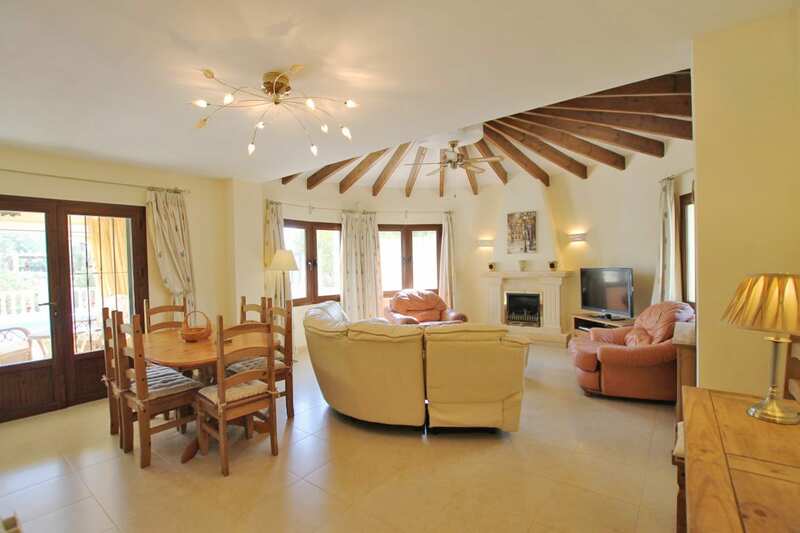 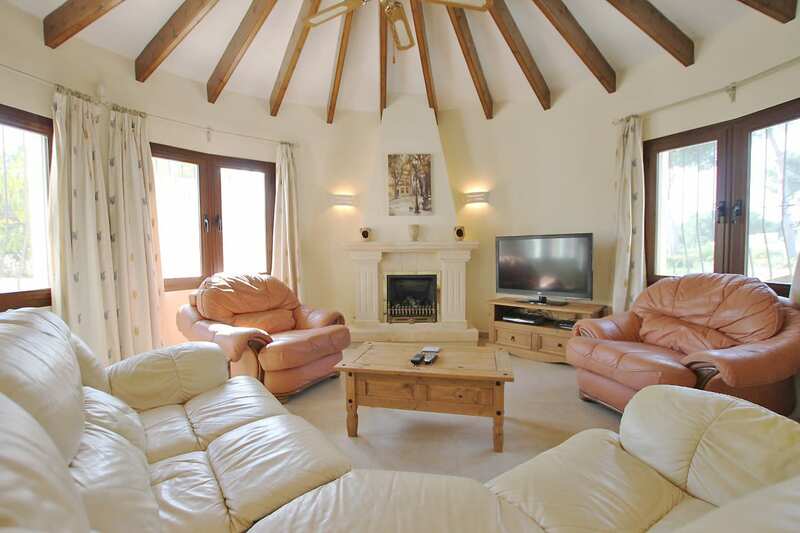 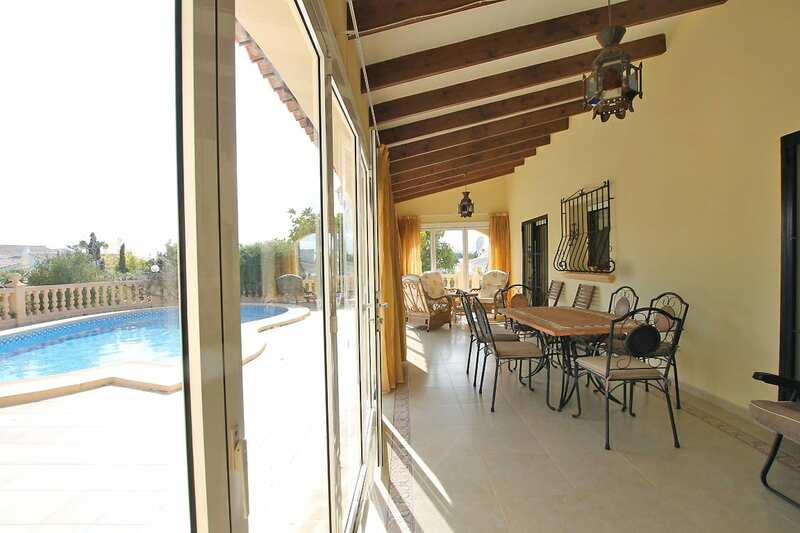 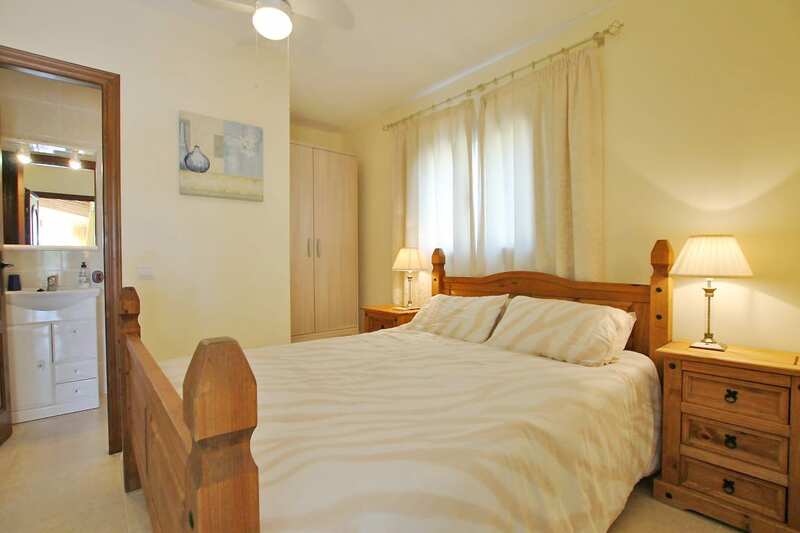 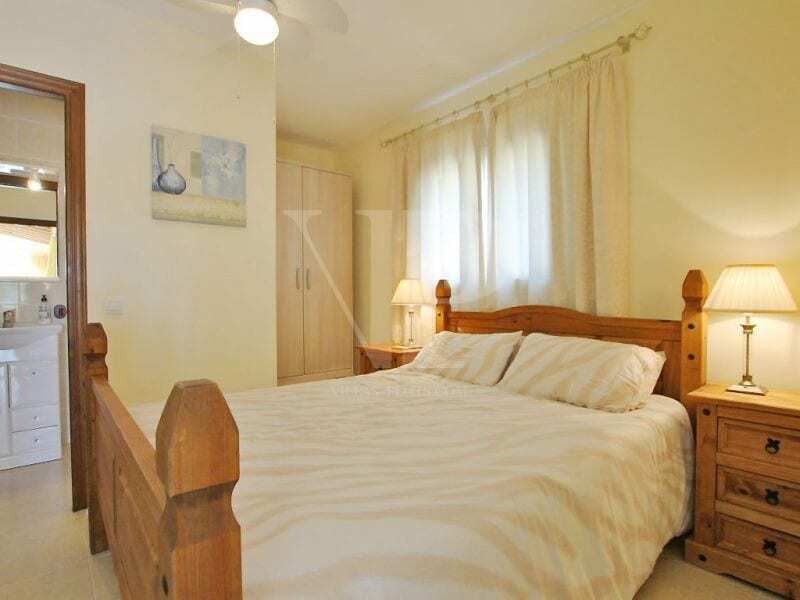 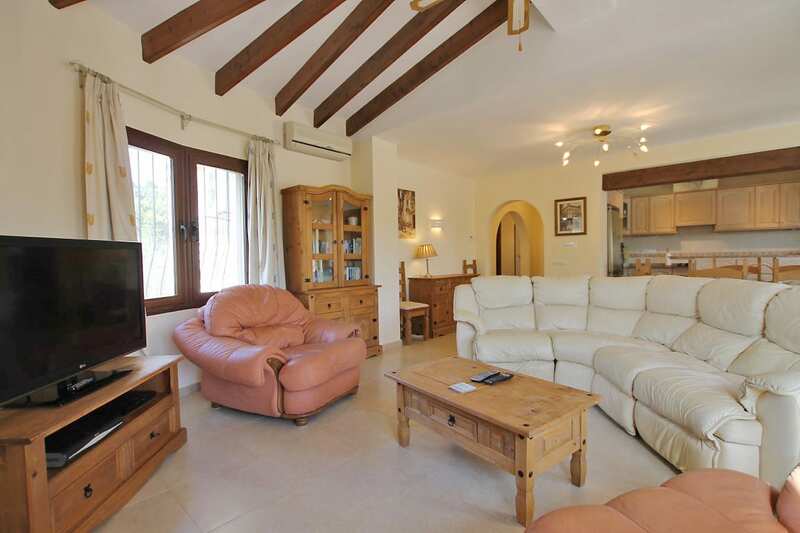 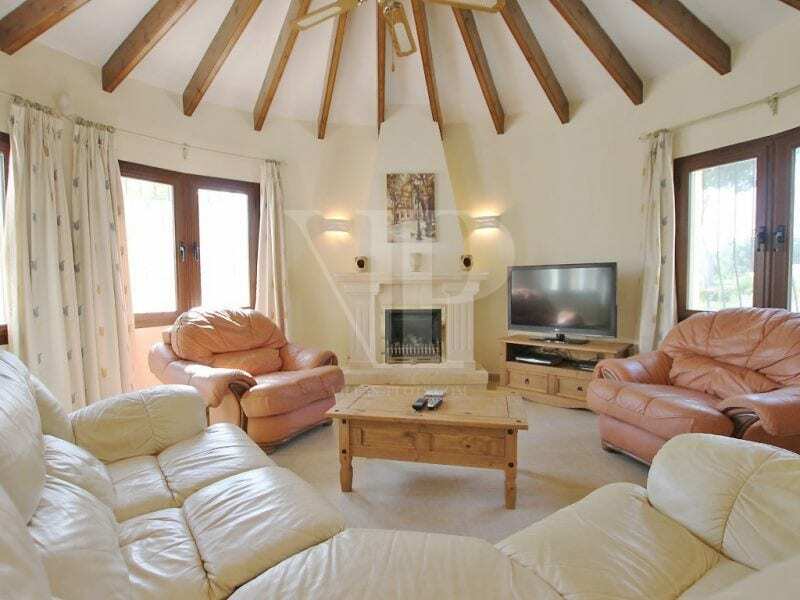 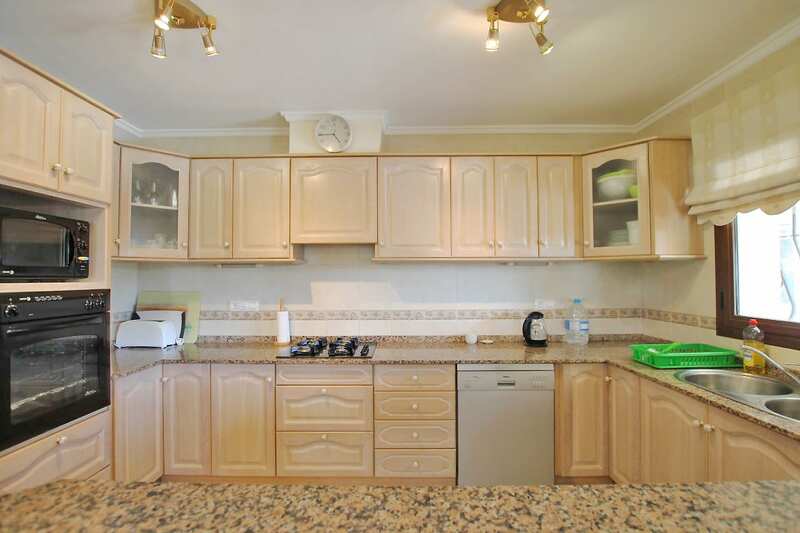 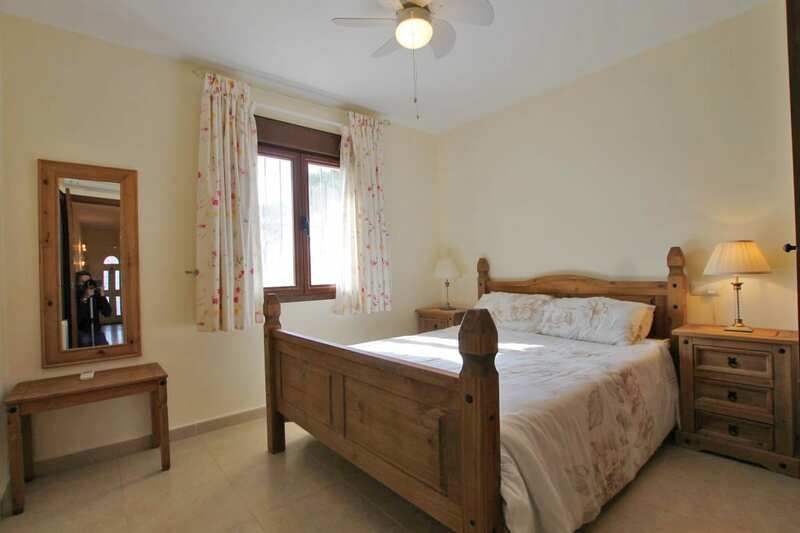 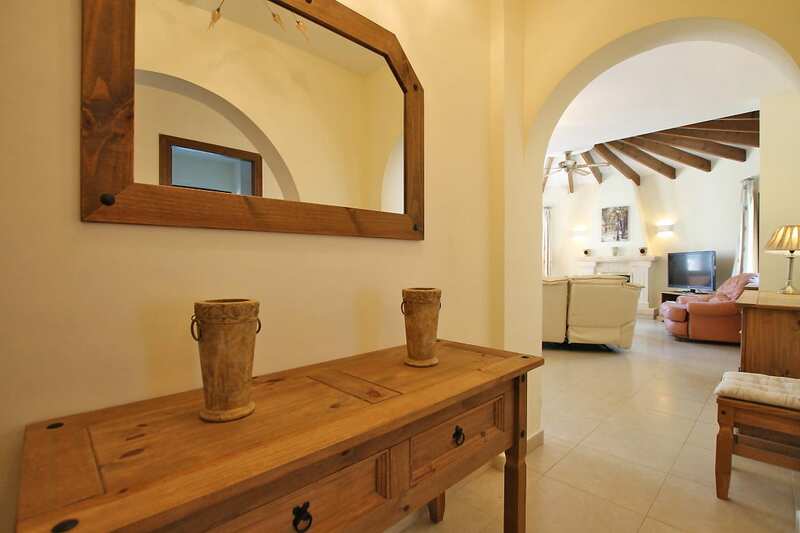 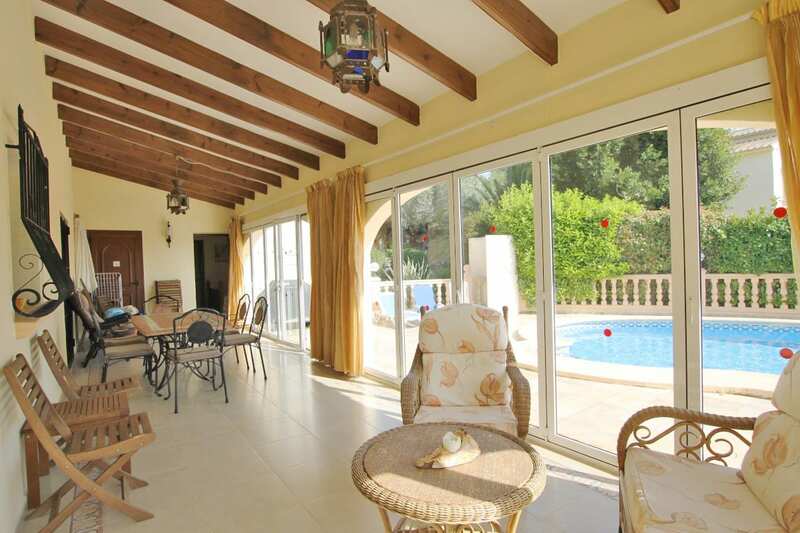 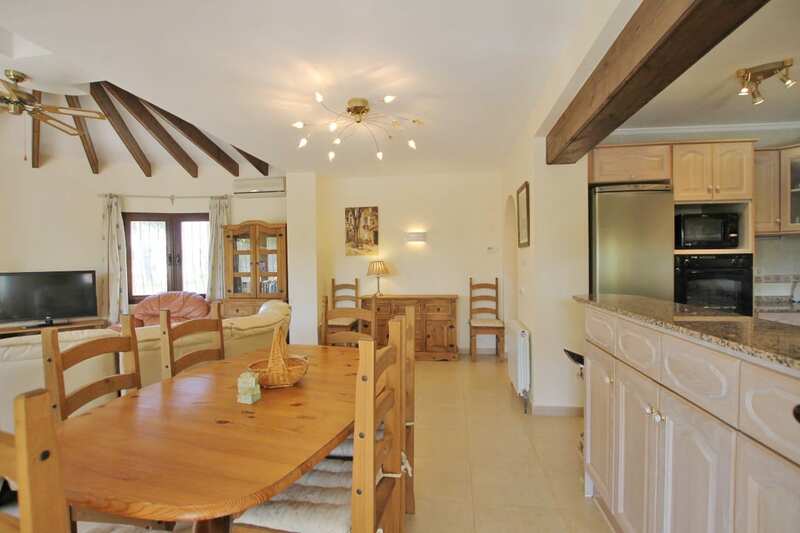 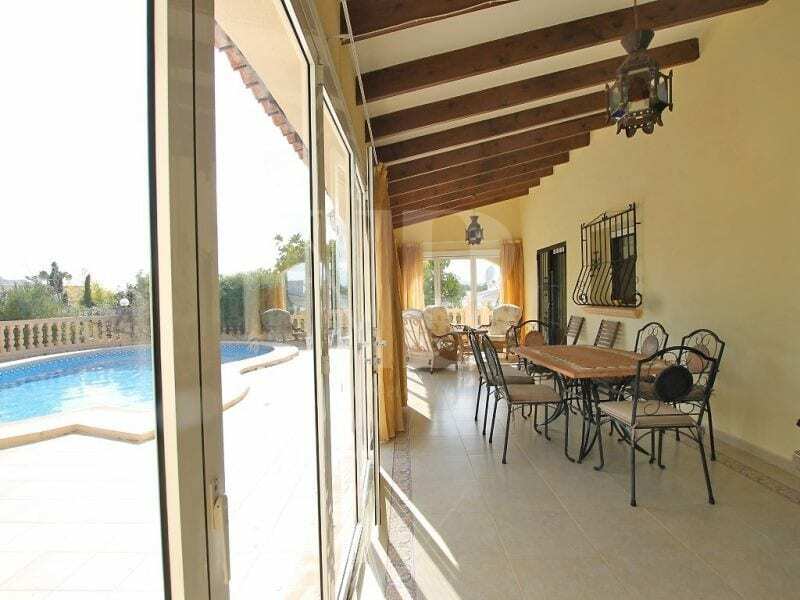 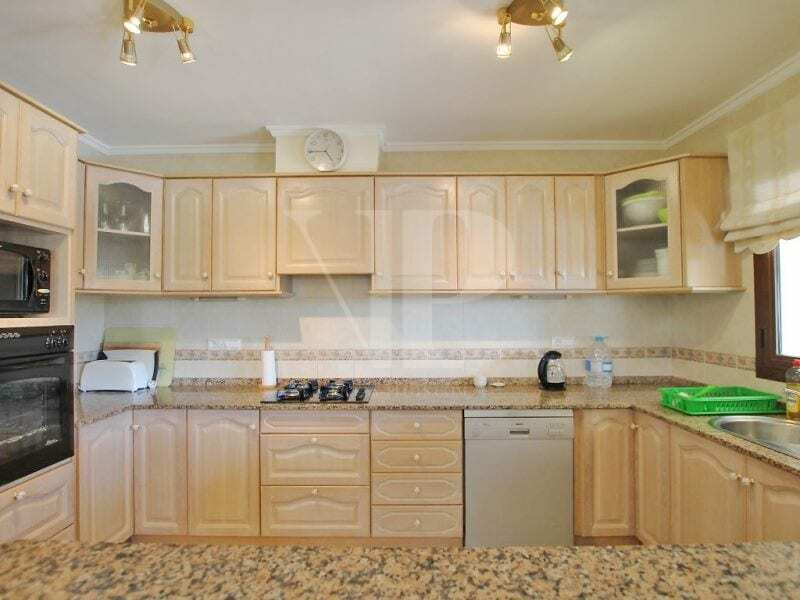 The villa features double glazing all round with blinds and insect nets, it has gas central heating and A/C throughout. 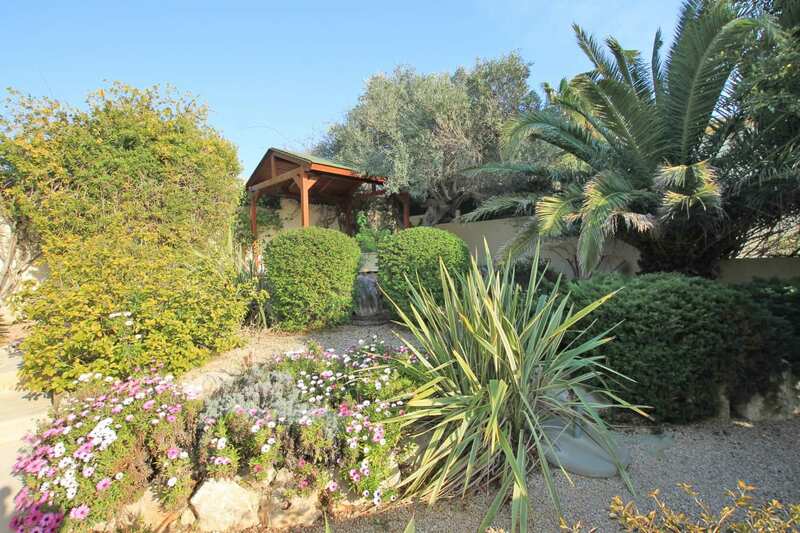 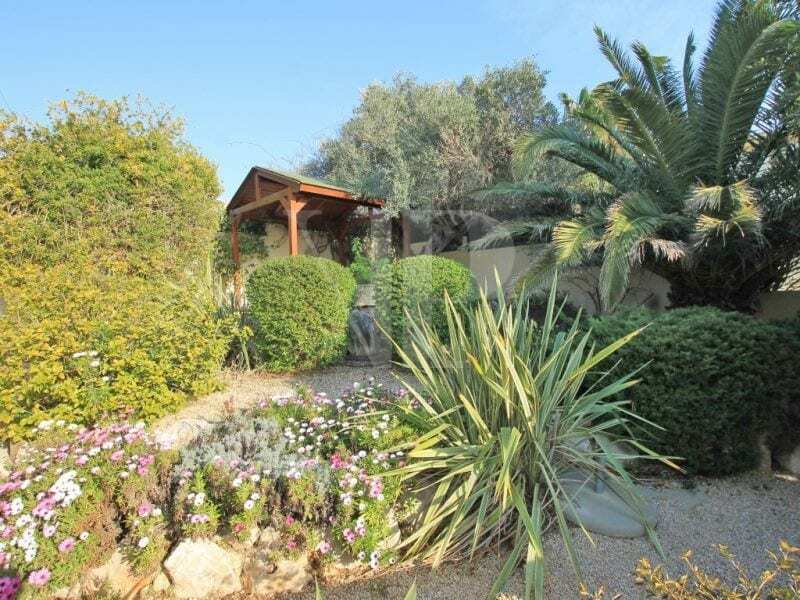 Featuring off road parking along with a car port and garage with internal access, the villa’s gardens are mostly low maintenance featuring a selection of typical Mediterranean plants and trees along with a wooden workshop with electrics.